And the answer is that you still need to eat the right types of food to help you lose weight and burn fat safely. And that is the reason why we spend time reviewing proper nutrition and why we post weight loss tips and recipes every week on this blog. And with that being said here are 5 great recipes to help you lose weight and burn fat. 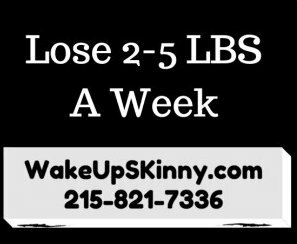 If you are new to our medical weight loss center and would like more information just call us and schedule your free weight loss consultation. 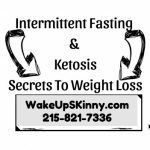 Call us at 215-821-7336 for your free consultation. The recipes I am giving you today are: Pepperoni Cheese Baskets, Parmesan Chicken Balls, Chocolate Macadamia Ice Cream, Chocolate Fluff and Fettuccine Alfredo. Mix your full fat cream cheese, sour cream, grated garlic, red bell pepper, Tabasco sauce and salt-and-pepper until it’s combined in nicely. Take a muffin hand that will allow you to make 4 muffins and line the muffin cups with cling wrap. Next place a slice of pepperoni into the bottom each of the muffin cups and evenly divide your cream cheese and sour cream batter into the 4 muffin cups. After that just placed them in refrigerator for at least 1 hour. After about 1 hour they should be firm enough to eat but I like to leave them in there a bit longer so that the flavors really intensified. When you are ready to eat them just remove them from the muffin cups and you can enjoy them with some delicious veggies. Each muffin has approximately 240 calories and 3 grams of carbohydrates. Start by putting the sour cream and cream cheese into a bowl and mixing them until they are smooth. After that start in the chili sauce, chicken, Parmesan cheese, cheddar cheese and salt-and-pepper. Kathy then take a plate and mixed together the cilantro and green onion. Now divide your chicken mixture into 12 equal portions and put them onto the herbs. Gently roll each of the first to form balls and then place them in the refrigerator and give them time to set. This is a really fantastic recipe and has only 124 calories and 1 gram of carbohydrate. macadamia nuts – 1 ounce of chopped academia nuts. We begin this great recipe by placing all the ingredients, except for the nuts, into a food processor or blender and mix until everything is nice and creamy smooth. After that if you have an ice cream maker just charted the ice cream maker or if you do not have an ice cream maker you could just place it in the freezer. Just make sure that it’s in a freezer proof container. If you do not have an ice cream maker you will have to stir this about every normal 30 minutes or so to make sure that it does not crystallize. Let it freeze until you have the ice cream texture that you like. I usually like to take mine out of the freezer for about a good 15 minutes before serving it. When you are ready you can just sprinkle the chopped macadamia nuts over top of the ice cream. This recipe makes six servings. Each serving has approximately 290 calories and 5 grams of carbohydrates. 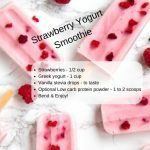 This is a super easy recipe to make all that you need is to use an electric mixer and just with all of the ingredients together until it is stiff. And if there you have it, two servings of the delicious low-carb and no sugar chocolate whip. This recipe makes two servings each of them having about 200 calories, 3 grams of carbohydrates and 2 grams of protein. First we must cook our shiitake noodles, just follow the package directions to cook them properly. (I usually cook my shiitake noodles by first draining and rinsing them. Then I put them in the microwave bowl and microwave them for about 2 minutes and then I drain them. Next I microwave them one more time for about a minute or so and then I trained them one more time.) After you have cooked your noodles place them in a bowl and mix in the cream cheese with chive and onions in the butter and stir everything until they melt and for a very nice smooth sauce. After that to sprinkle with 1 tablespoon of your cheese and stir this end. And you can use the other 1 tablespoon of grated cheese to sprinkle over top. Now all you have to do is eat and enjoy. 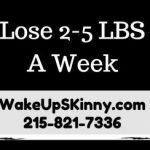 I hope you enjoy these recipes and to schedule your free weight loss consultation call us now at 215-821-7336. 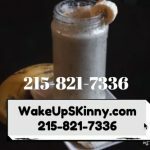 This entry was posted in Diet Doctors in Bucks County, Diet Doctors in Philadelphia, Medical Weight Loss, Medical Weight Loss in Philadelphia PA, Medical Weight Loss Philadelphia, weight loss philadelphia and tagged affordable phentermine philadelphia doctors, diet pills in philadelphia, medical weight loss in philadelphia, philadelphia diet doctors, Qsymia, Suprenza Xenical Contrave Phentermine and topiramate Qsymia Phentermine, weight loss philadlephia, weight loss pills in philadlephia, weight loss pills philadelphia, weight loss programs Philadelphia on April 7, 2017 by Dr. Michael Kenny.